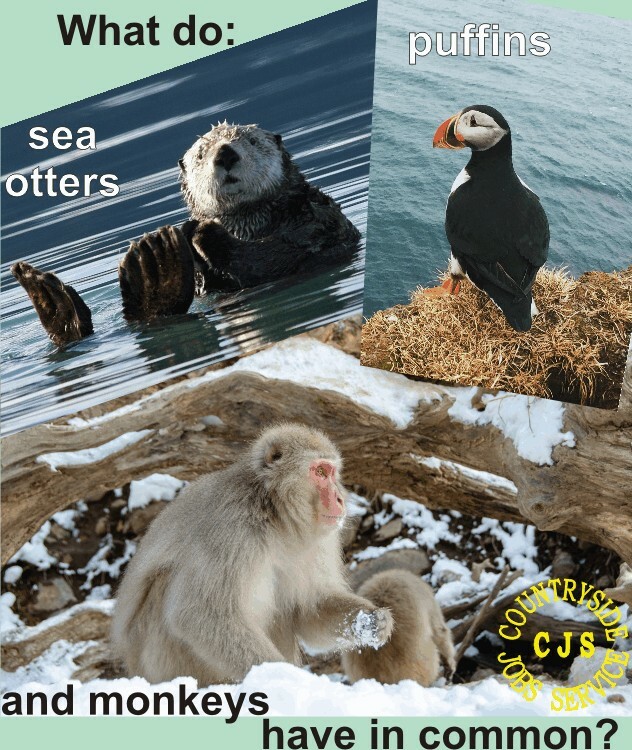 Hand holding sleepy sea otters, little pufflings* and snowball making macaques - what do they all have in common? Other than being really cute - obviously! One of these 'might' be Chris Packham's favourite fact. For World Autism Awareness Week which began yesterday and runs until Sunday (7 April) Chris has put together a sweepstake of his favourite facts to raise money for the National Autistic Society for which he is an ambassador. It's a fun and simple way to raise £30. Simply get everyone to guess Chris' favourite fact and the winner will get half the takings! Chris' favourite fact will be announced on 7 April. Get your sweepstake poster / kit here. Founded in 1962, NAS is the UK’s leading charity for autistic people and their families. They aim to help transform lives, change attitudes and create a society that works for autistic people. Autism is a lifelong, developmental disability that affects how a person communicates with and relates to other people, and how they experience the world around them. Autism has been termed a hidden disability but many prefer to think of it as being differently abled, people with the condition fall somewhere on the autistic spectrum which, as you'd expect with a spectrum, has a range of affects. In his documentary Asperger's and Me Chris talked at length of how his autism affects him and although many of the things he spoke about will affect others on the spectrum not all will; however, what is true is that everyone with autism sees and interacts differently with society and the world in general than neurotypical people (those without the condition). Despite what many people believe autism is not rare occurring in 1-2% of children and a similar proportion of adults and 50-70% of people with autism have an IQ within normal ranges and fluent language - not everyone with autism is a Rainman or Stephen Wiltshire - consequently it's quite likely that you won't know if someone has autism. You can find information on how to help create autism friendly spaces and run autism friendly events on the NAS website here. They also have a poster for you hang up in your office or meeting room to help everyone understand autism , the poster has easy to follow suggestions for how to support autistic colleagues. Download your copy here. *puffling is the name for a baby puffin - aw! 11 April update: And Chris's favourite fact is..... Snails can sleep for up to three years.